Labor Secretary Alex Acosta on Tuesday announced the opening of a new office aimed at complementing labor law enforcement with outreach to help employers and workers comply with regulations. 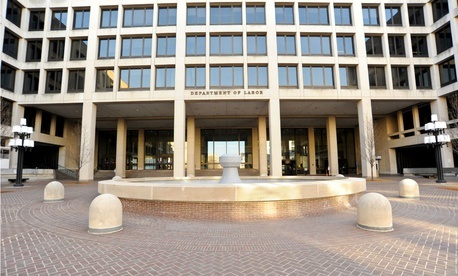 The new Office of Compliance Initiatives “will promote greater understanding of federal labor laws and regulations, allowing job creators to prevent violations and protect Americans' wages, workplace safety and health, retirement security, and other rights and benefits,” the department said. "President Trump's Administration is committed to protecting the American worker,” Acosta said. “Vigorous enforcement and compliance assistance go hand in hand." The office leaders will help sub-agencies foster a culture that promotes compliance assistance; provide employers and workers with access to high-quality, up-to-date information about their obligations and rights; assist enforcement agencies in developing new strategies to use data for more impactful compliance and enforcement strategies; and enhance outreach to stakeholders for the department's enforcement agencies. The expectation is that Labor will be able to target enforcement resources on repeat violators “to level the playing field for America's job creators who abide by the law,” the department said.